Valentine’s Day is this Sunday and it’s probably no surprise that I’m one of those people who actually decorates for this special day. Whether decorating for holidays or events, I think it’s always wise to mix your existing decor pieces with newer items so you can refresh the overall decor without breaking your bank. 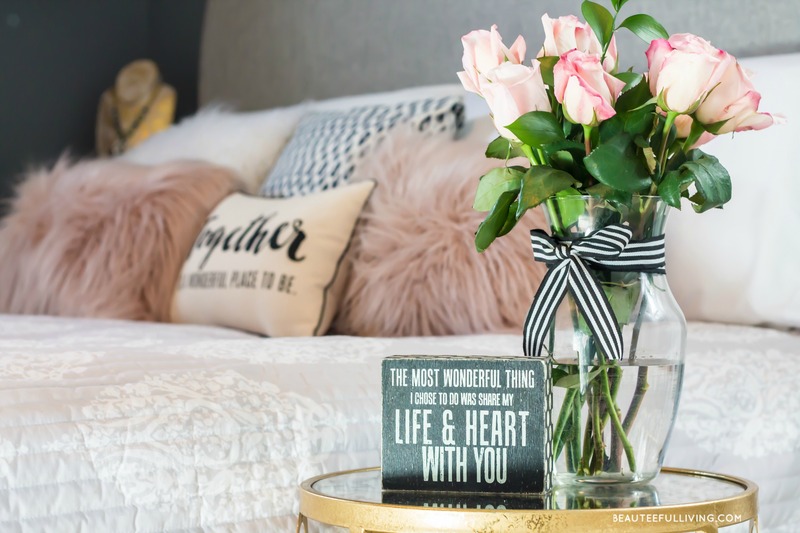 Speaking of not breaking your bank, T.J. Maxx is one of those stores where you can find a plethora of pretty home decor items at a much discounted rate. In today’s post, I’m thrilled to share the “beauteeful” finds I brought home from my recent shopping trip! You’ll see what a budget of $50 dollars can buy. 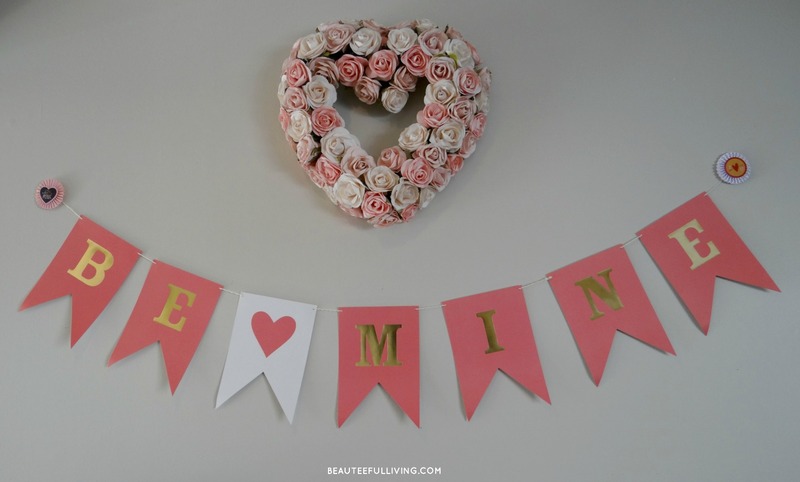 When I saw this adorable “Be Mine” banner sign at T.J. Maxx, I was so excited because it went so well with my wreath. It was in the perfect shade of pink. Also love the gold embossed letters! Here’s how the lower portion of my Valentine’s table display looks. Pretty right? 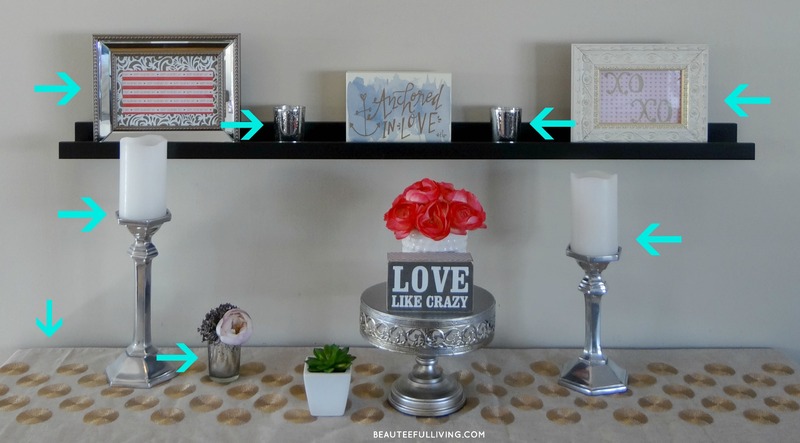 Like mentioned earlier, I love mixing new items with decor pieces I already have in my home. The arrows all point to decor pieces I already own. 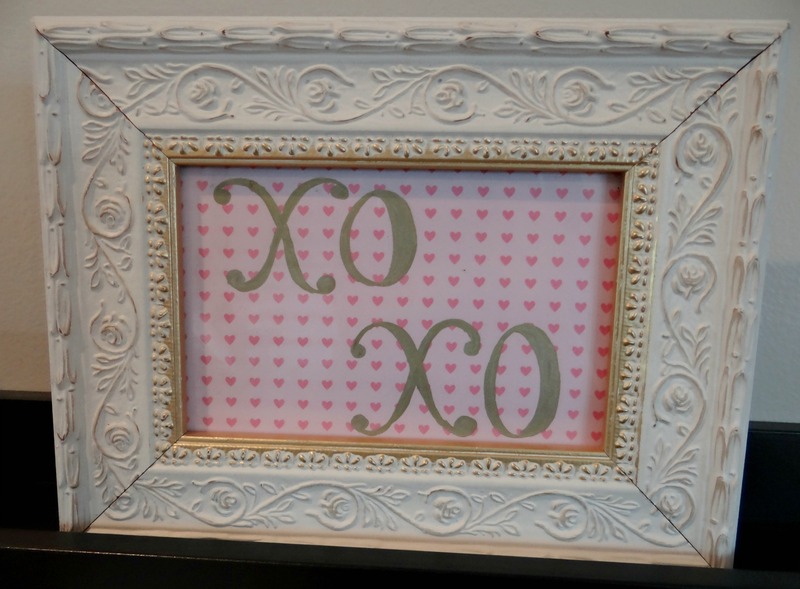 To give my shabby chic picture frame a Valentine’s feel, I added some cardstock and wrote “XO, XO” on the print. So simple! Now, let’s take a look at all the goodies I purchased at T.J. Maxx recently. 7. 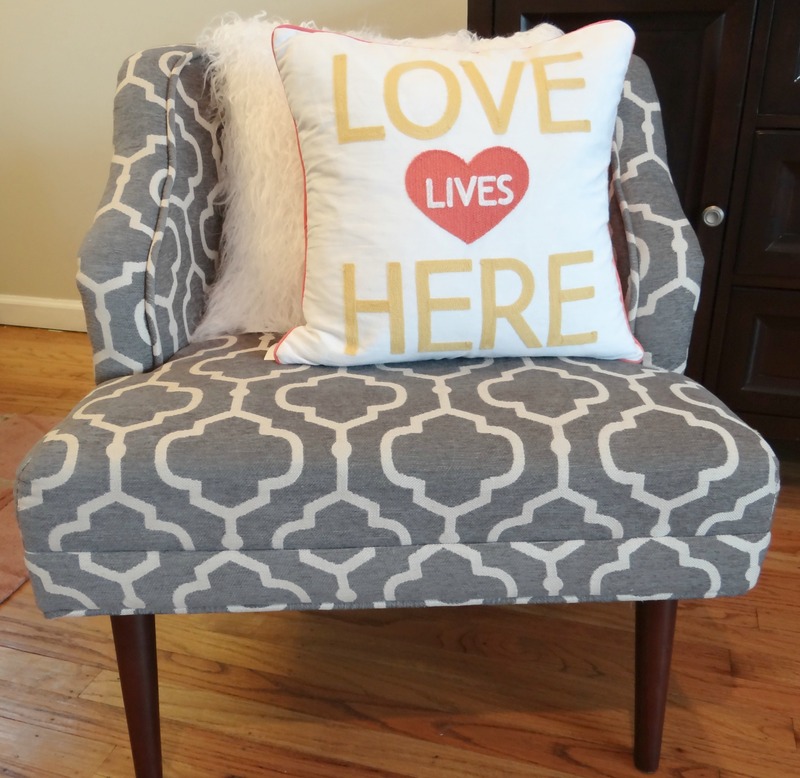 “Love Lives Here” throw pillow. 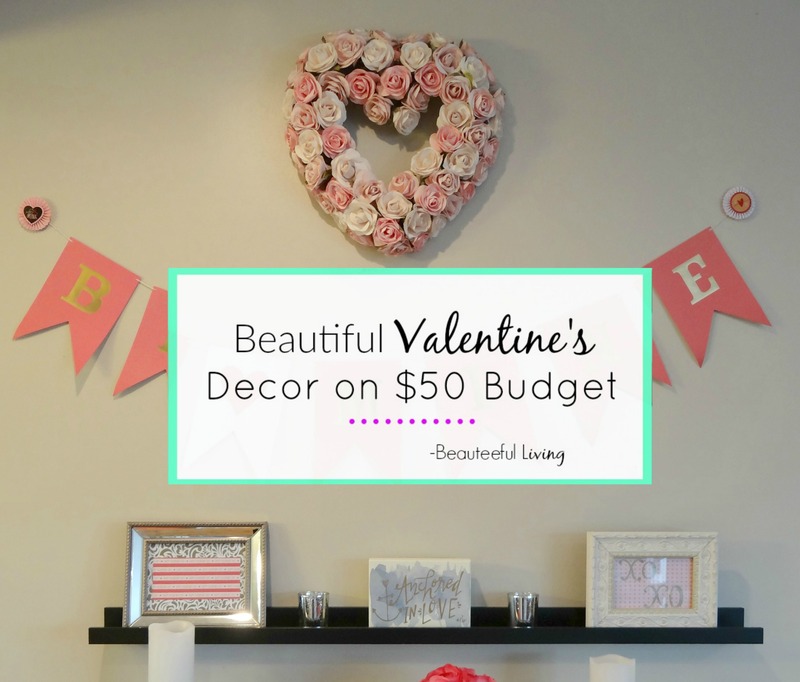 Can you believe I purchased all of these beautiful Valentine’s decor items for only $50 dollars? With the exception of the pillow (priced at $14.99), every item below was under $10 dollars! Here’s how I put all the pieces together. I love how all the pink pops against the neutral decor items! 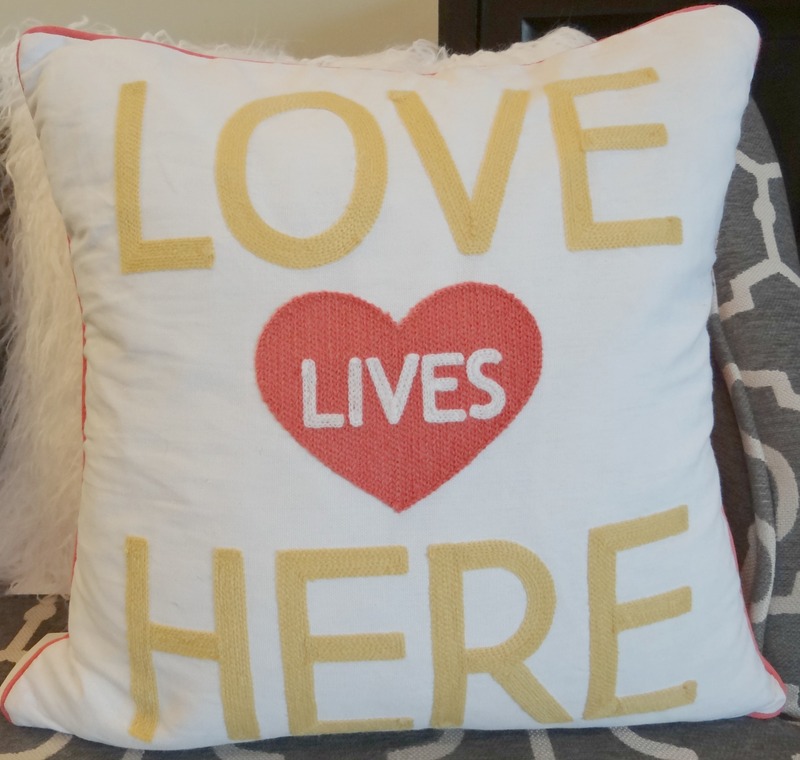 Loving how my “Love Lives Here” pillow looks against my white fuzzy pillow. I’d like to thank T.J. Maxx for providing the products featured in today’s post. With spring coming up, I can’t wait to incorporate some of these items in a future spring-related decor post! Did you have a favorite item featured in today’s post? Thanks for reading. I hope you guys have an amazing upcoming Valentine’s day! Xoxo, Tee. Beautiful decor for Valentines Day. Love the wreath – so pretty. 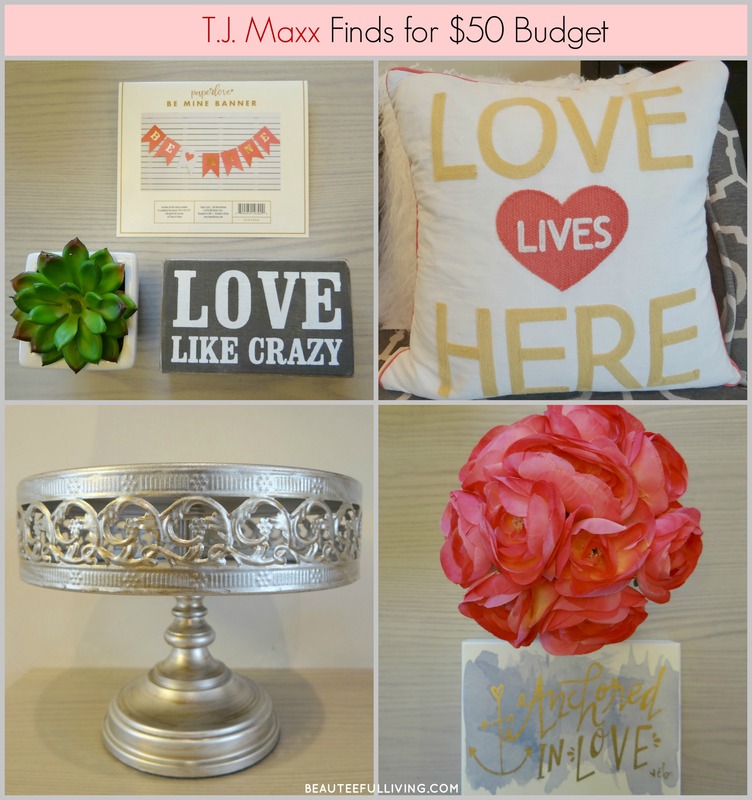 TJ Maxx, Homegoods and Marshall’s are my go to decor stores these days – just can’t beat the prices. Everything came out so pretty! I love the faux flowers and the throw pillows! All of that is REALLY cute. I love it! Great choice, and T.J. Maxx has such cute stuff! I especially love Home Goods. I love these decorations, especially the silver platter and the frame. They look so elegant! Can’t beat a $1 wreath! Your Valentine’s display is so sweet. 🙂 Have a wonderful Valentine’s day with your family! So pretty! I decorate for each holiday, as well and will definitely be borrowing some of these cute ideas. I especially love that you framed cards you made. Really sweet! These are all pretty. I wish though that I had more time on my hands to decorate my room & stuff. But I think they are perfect though for Valentine’s Day get-together with friends, that’s if you’re not going out on a date. I love what you did here, great work! These decorations are all so beautiful. I love that they are so elegant but so cost effective too. Now who says decorating for Valentines is expensive? I can’t believe you can do this just for 5o dollars. This is budgeting at the ultimate level. After all, it’s the thought that counts, right? Working with budget doesn’t mean your home can’t be well decorated. TJ MAXX is my favorite for sesonal decor. I can’t believe that we haven’t even decorated for Valentine’s this year. Great reminder for next year when we have time. 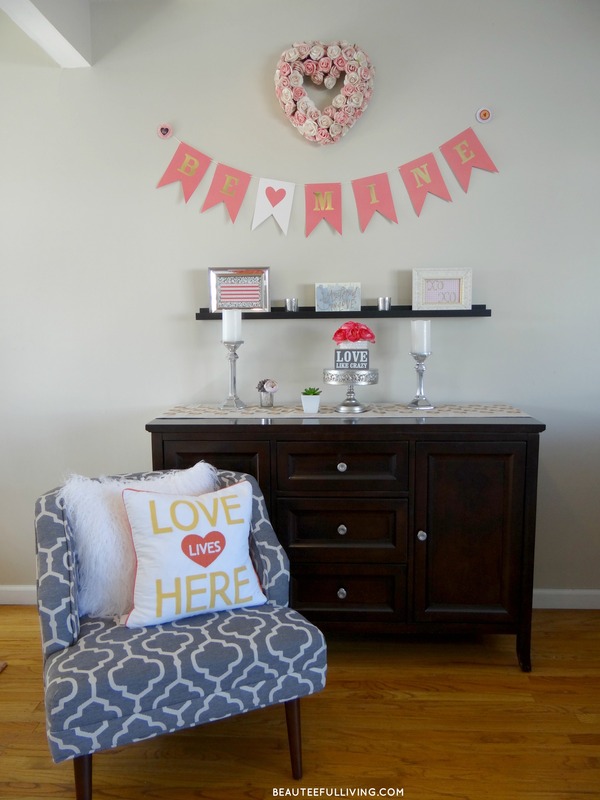 First, I love that white and gray chair… and, your Valentine’s Day Decor is so pretty! That rosette wreath was only $1? What a steal. T.J. Max is such a fun place to shop at and I am not sure why I don’t go there more often. You really did good with a $50 budget! I really love that pillow, the banner and the silver dessert stand! I bet you will find a lot of uses for the dessert stand, too. Oh, I am loving this Valentine’s Decor, one of my favorite holiday’s! Pinning! These are wonderful diy decor ideas! I can’t wait to try the picture frames! And some, you could keep up all year round! Thank you for sharing these, I love them! These are such great ideas. Your display looks beautiful! I’m always on a budget, so I love this idea. I love TJ Maxx!! I had to limit my trips because I was bringing home took much stuff! LOL!! Love your Valentine’s Day table!! These are great Valentines decorations. I would love to have the flower wreath. I love all of your finds, it looks beautiful! Love it! That banner, pillow and rose wreath are gorgeous! I am pretty envious you only spent $1, I need to go shopping with you. These are all such cute ideas! I love how the items all come together and create a beautiful scene for the holiday. You have a great eye for decorating. I want you to come to my house and help me with my livingroom. It really could use a little extra love and your help! So pretty! I love to decorate for every holiday! It makes the house feel cozy. I really love that wreath! Lovely job! I love hunting through TJM for little treasures. 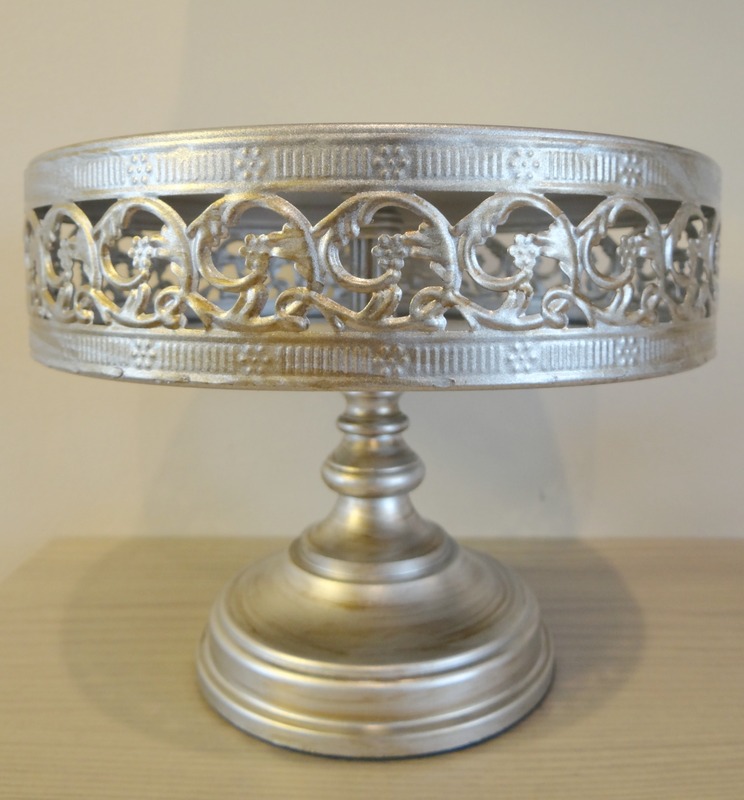 That cake stand would look great year round. It’s all absolutely gorgeous, but I’m in love (ha ha, see what I did there?) with that dessert stand! The colour is perfect too – you could use it for any occasion really. Beautiful! I love that throw pillow! I could get two of them and sit them on my couch. 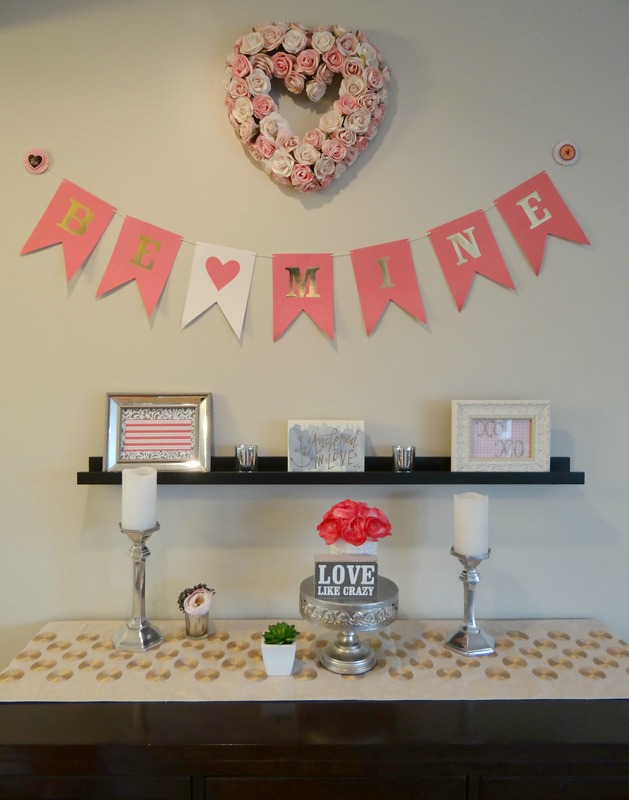 These are all great ideas to decorate for Valentine’s day. I will have to show this post to my son. He is thinking of surprising his girlfriend this Valentine’s day. It would be nice if he can do this to her dorm room. I don’t normally decorate for Valentine’s day as I live alone. But I’d sure love to own that silver dessert stand. It would come in handy for all of the parties I host. 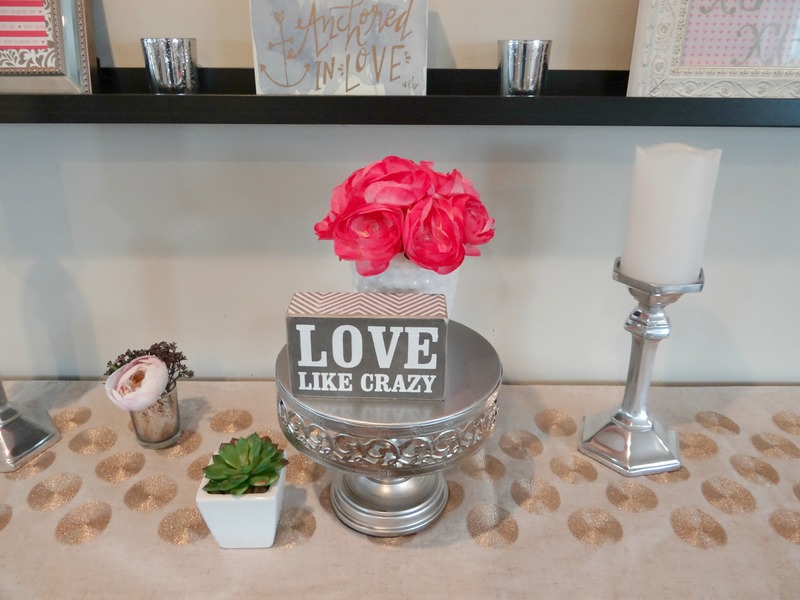 I don’t decorate for Valentine’s day, but these are awesome ideas. I love the hanging rose wall decor. I love that wreath! A dollar?! That’s definitely a steal. I’m a little inspired to make my owndollar store version! I love decorating for Valentine’s Day too. T.J. Maxx always has great stuff and I always find something. I am really impressed with all you got for $50! Great job! It looks “beauteeful”! Oh my goodness it looks like that would cost a lot more than $50! Love the style of these items and that they’re all from the same place. I usually don’t decorate for Valentines Day but I really want to now! Same here! At first glance, I think those things are expensive. But I am happy they are just below $50. I love all the decorations you included in this blog post. I am happy that we can really celebrate the holiday without spending too much money. I think it is all about creativity and resourcefulness. Thanks for sharing these tips. I have never decorated my home for Valentines. But I love all of the items that you show here. My absolute favorite is the rose-covered, heart-shaped wreath. You could easily leave that up all year. I absolutely love the classic looks you created for Valentine’s Day. TJMaxx, HomeGoods, and Marshalls are truly my happy place. There are so many creative and unique products that really set your home apart. Here’s to a beautiful Valentine’s Day! 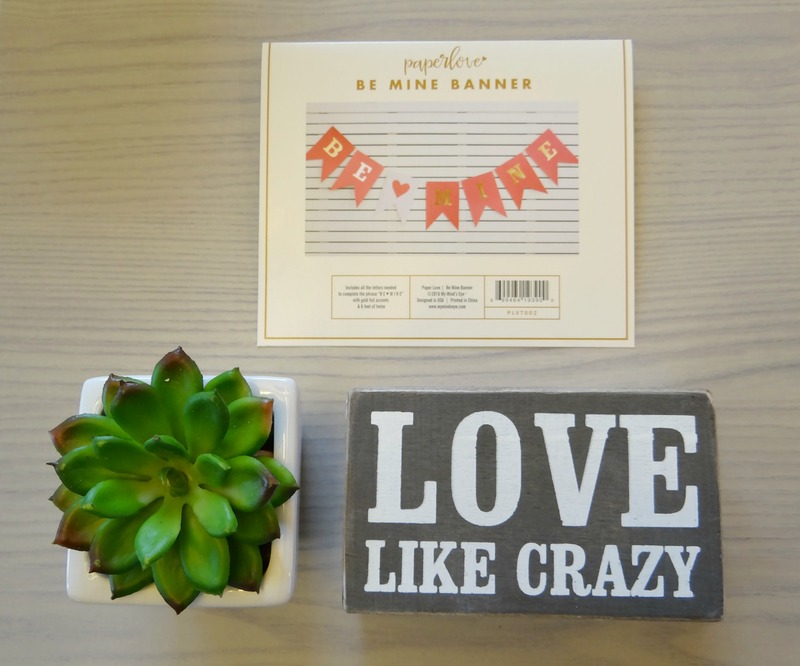 Love your Valentine’s Day decor, Tee! It’s very beautiful! I looooove TJMaxx and Homegoods! Great finds for Valentine’s Day! 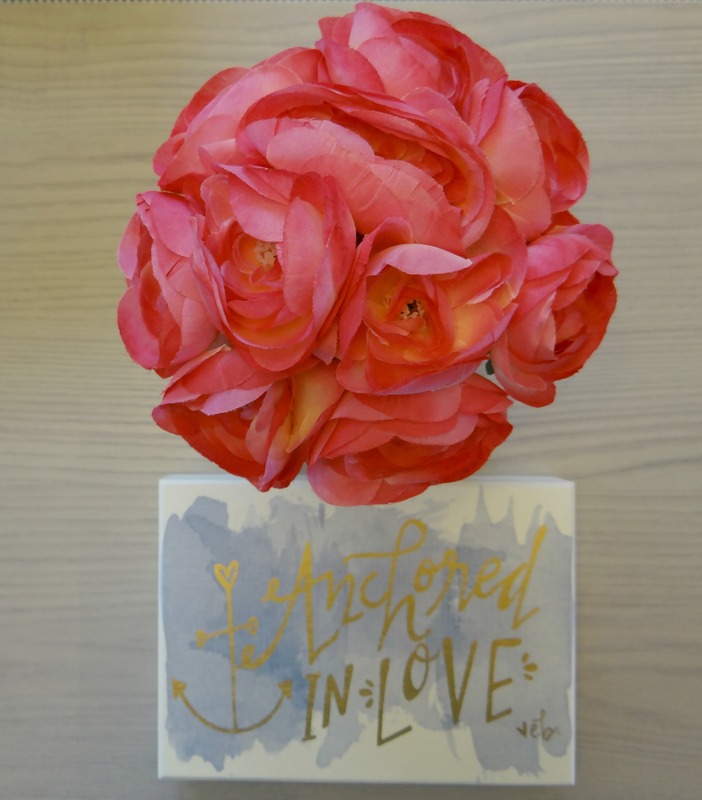 These are great pieces for Valentine’s Day! I never really decorate for this holiday because I never have decor. I’m going to have to shop around now! I am loving all of your festive decorations. That flower heart shaped wreath is absolutely gorgeous. I love it. TJMaxx always has such cute stuff for such a good price. You have some great ideas here.